The Pirates have evened up this battle of Pennsylvania with a 2-0 win tonight over the Phillies. 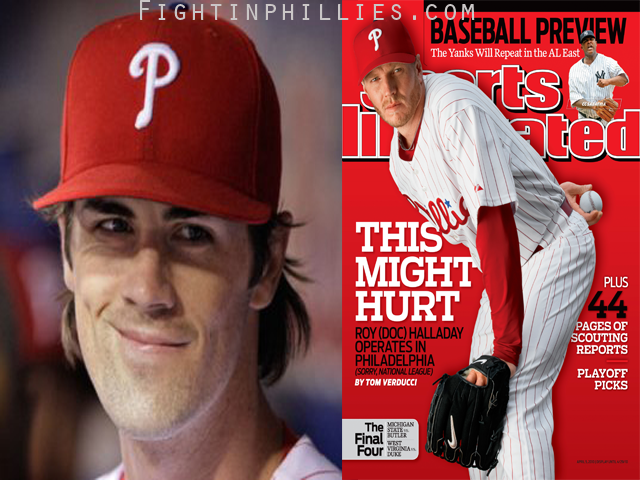 Cole Hamels again was denied his first win for the 2013 season as he instead got the loss and his record slid down to 0-3 as the Phils couldn't get started tonight. The Phillies offense needs a few contributions from Brown, Mayberry, and Revere. This trio is battingn .206, .283, and .205 respectively. Brown has 1 double and 6 RBI in 19 games with 11 strikeouts. Revere has 4 RBI in 20 games and 13 strikeouts. Numbers like these aren't going to be adding up to big wins. Something has to change in this lineup, either some improvement or the Phillies may need to look elsewhere fast if they intend on making this season at least a little interesting. While we're talking about interesting, look at Ryan Howard's numbers, he has 1 HR and 6 RBI in 18 games, and that is supposed to be our power hitter. There is little wonder that the Phillies aren't winning too many games in a row. Mayberry is starting to hit for a better average, but he just can't come through with a key hit when the Phillies need him to. He was 4 RBI in 18 games. Laynce Nix has been a bright spot, coming through for this team numerous times both at the plate and batting. Why not give him a chance to keep that momentum going rather than the same fielders in Brown and Mayberry when they aren't getting the job done. Nix hit 16 HR for the Nationals when he played most of the year for them in 2011. It's Halladay and Lee next up for the Phillies, remember when that twosome used to strike fear in opponents just a couple years ago?